The video for AIRBOY’s new single NAWO NAWO is here and it is BIG! 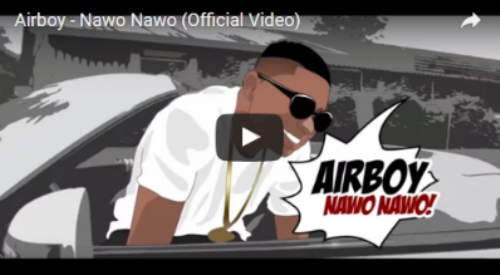 Executed by rave cinematographer, DIRECTOR Q, the video humorously and expertly interprets the song with AIRBOY playing NAWO NAWO (the big spender) and his adversary USHBEBE coming through as ALARORO (the stingy man). It also features cameo appearances by label-mates QUE PELLER and BASE ONE, as well fresh face UK/Naija rapper DOLLA BEY. You’re not only going to be entertained, you’re also sure to have a very good LAUGH!